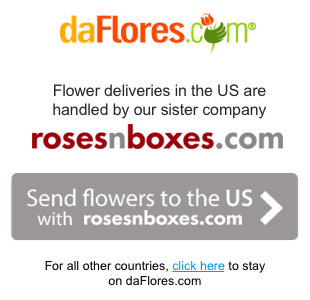 Here at daFlores, you can send flowers to El Salvador with the help of our extensive network of local florists. We deliver flowers in San Salvador, Santa Ana, San Miguel, and other cities in El Salvador. The flowers in El Salvador are simply unbelievable. Rivers, lakes, volcanoes and a strip of gorgeous coastline merge into one tropical haven. This unique geographical landscape is the ultimate backdrop for a huge diversity of flowers. If you have loved ones in this beautiful country, we know that you surely miss them. In El Salvador, our flower delivery service lets you keep in touch with people back home. Think of who might be able to appreciate your gift, and take it from there. For a birthday, anniversary, or just to say hello, we offer you a wide range of bouquets for every occasion. 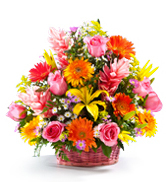 If you wish to send flowers to El Salvador, all the choices available in the country are right here at DaFlores. Simply click on the products you like and fill out the details. 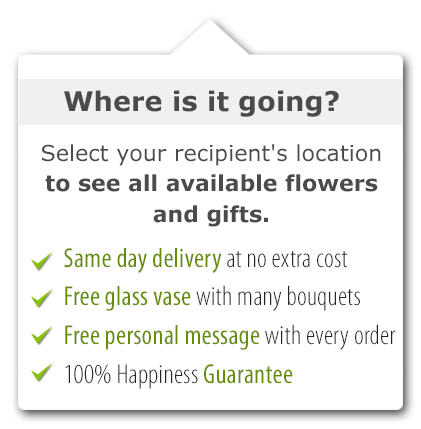 As long as you order by noon local El Salvador time, we can arrange a same-day flower delivery for you. You might be wondering how DaFlores is able to promptly deliver flowers that are so fresh and beautiful. In El Salvador, our flower delivery service works in a special way: We coordinate with an extensive network of hand-picked, knowledgeable local florists. Each of them has over ten years of experience in the industry, and all of them use only the freshest products each morning. Because of the variety of gorgeous flowers in El Salvador, it makes sense to use only fresh, seasonal flowers each day. DaFlores is a family-owned business with years of experience in flower preservation, arrangement, and delivery. Our commitment to customer service and quality makes us one of the leading services that send flowers to San Salvador, Santa Ana, San Miguel, and other cities in El Salvador today. When you order your gifts at DaFlores, you are simply getting the best. After browsing our wide selection of flowers, you will soon realize why our flowers are very special. Same Day Flower Delivery to all cities in El Salvador. Para ver esta página en Español, favor visitar nuestra página de Enviar Flores a El Salvador.